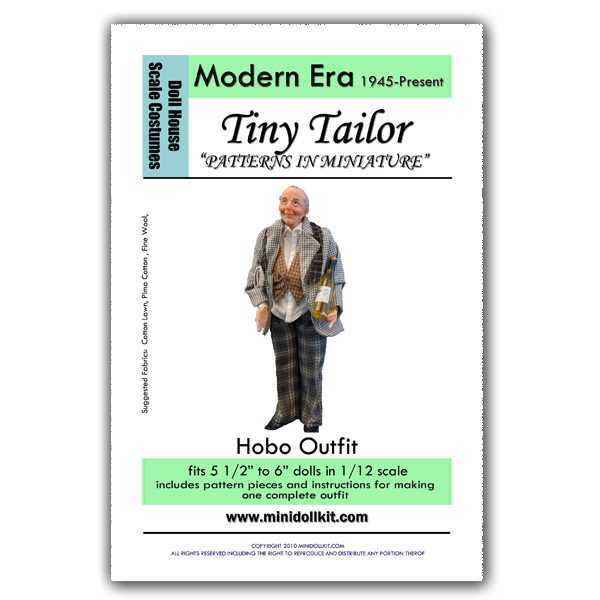 This is an adorable Hobo outfit in miniature. 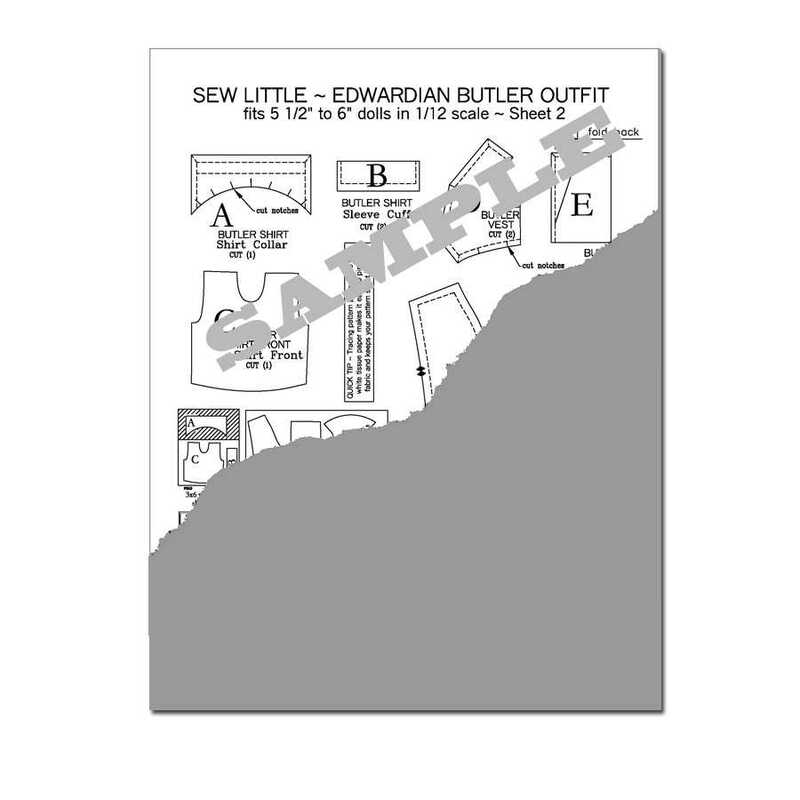 The pattern pieces include long pants, mens shirt front with placket and oxford style collar, mens vest front, mens blazer with notched collar and scarf. Put a bottle of wine and newspaper in his hands and you have a great character doll!